Pepperdata's dynamic cluster supervisor makes Hadoop work better for you. Pepperdata constantly monitors the use of CPU, RAM, network, disk, and HDFS -- per task, per node, and for the cluster overall. Pepperdata's cluster supervisor uses this information to continuously and dynamically control the use of each resource by each task. Sean Suchter served as general manager of Microsoft's Silicon Valley Search Technology Center from 2008 to 2012. Prior to [Microsoft](/company/microsoft) Suchter ran search operations at [Yahoo](/company/yahoo). He found his way to Yahoo via the company's acquisition of [Inktomi](/company/inktomi) in 2002. 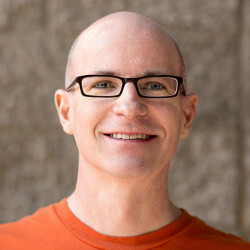 Chad Carson At Microsoft, Yahoo!, and Inktomi, Chad led teams using huge amounts of data to web-scale products, including social search at Bing and sponsored search ranking and optimization at Yahoo!. Before getting into web search, Chad worked on computer vision and image retrieval, earning a Ph.D. in Electrical Engineering and Computer Science from UC Berkeley. Chad also holds bachelor’s degrees in History and Electrical Engineering from Rice University. New-gen distributed systems and applications are getting more complex all the time, and achieving optimal performance remains one of the most significant challenges of a big data system. Application Profiler is based on the open source Dr. Application Profiler is the first of several new products that Pepperdata will be releasing this year that are targeted at DevOps for Big Data, the company said. Brings DevOps Sensibilities to WorkloadsPepperdata products and services are designed to accelerate the production use of big data applications by ensuring that performance is tightly integrated into the DevOps for big data cycle. Pepperdata products are delivered to market as a combination of software running on customers' clusters, on-premises, in the cloud and as SaaS solutions. Analytics company Pepperdata announced today the launch of its Application Profiler — a platform that developers can use to understand how to optimize the capacity of applications running within their networks. The Pepperdata Application Profiler is essentially a big data production platform that is accompanied by three products — a cluster analyzer, a capacity optimizer, and a policy enforcer. The capacity optimizer is essentially a load balancer for big data applications. Application Profiler is based off the open source Dr. Co-founders Carson and Sean Suchter met while working at Yahoo and left to start Pepperdata, which they launched in 2012. As a preferred platform for big data processing, Hadoop doesn't have the same robust systems management tools as mainframes. These internal customers are also demanding performance SLAs (service level agreements)," said Sean Suchter, cofounder and CTO of Pepperdata, which provides software that optimizes Hadoop cluster performance. It's helping companies get a handle on their Hadoop cluster resource management. "As an example, one major telecom company had several hundred Hadoop cluster nodes processing IoT (Internet of Things) telemetry workloads," said Suchter. Keep up with the latest big data analysis, best practices, tools, and tips by subscribing to our Big Data Essentials newsletter. Distributed systems performance specialist Pepperdata is launching Hadoop Health Check, a complimentary, expert assessment that evaluates and diagnoses Hadoop clusters of 100 nodes or more, and provides full visibility into current cluster conditions. When a company signs up for the Health Check program, the Pepperdata software is installed on a production cluster for up to 72 hours. Over that time it collects all Hadoop performance data and provides a high-level diagnostic report with insights into the cause of common issues. It can also determine the individual costs of shared cluster resources based on actual usage. To find out more and sign up for a free assessment you can visit the Pepperdata website. Ramneek Gupta co-leads global investments at Citi Ventures and heads its accelerator efforts. We talked last week about fintech and other areas Citi is investing in and why. So we look for standalone platform companies with great technologies, teams, etc., but we also look for companies that can help Citi. Definitely, a lot of focus on the team is on bringing the bank to the customer as opposed to having the customer come to the bank. There’s also a lot focus on the blockchain space, which is very early and at the same time very disruptive potentially. Here's how it ensures consistent quality of service from its Hadoop clusters. San Francisco-based online residential real estate company Trulia lives and dies by data. To compete successfully in today's housing market, tt must deliver the most up-to-date real estate information available to its customers. Acquired by online real estate database company Zillow in 2014 for $3.5 billion, Trulia is one of the largest online residential real estate marketplaces around, with more than 55 million unique site visitors each month. Until recently, that meant Trulia had to intentionally underutilize its Hadoop clusters to ensure jobs completed on time. With Pepperdata, companies can monitor and control their Hadoop clusters in real time, reducing the complexity of managing the clusters. Many of the world's largest companies trust Pepperdata software to make thousands of decisions a second to ensure that their applications get the performance they need. Pepperdata manages that complexity through a set-it-and-forget-it approach that eliminates manual tuning for IT and guarantees Quality of Service (QoS) levels across the entire Hadoop environment. Pepperdata actively manages Spark by seamlessly allocating the necessary resources to the highest priority jobs, maximizing the performance of a single multi-tenant cluster to deliver required QoS levels. This latest certification adds support for Spark -- in addition to HBase and MapReduce -- allowing joint customers to expand use cases across multi-workload, multi-tenant cluster environments while controlling the chaos that often ensues from such complexity on the cluster. "Founded in 2013, MapD builds a big data analytics platform that can query and visualize big data up to 100x faster than other systems. MapD is excited to leverage Alston's sales and marketing strengths to introduce its revolutionary data analytics product to a worldwide audience. Alston to Lead Go-to-Market Strategy for MapD's Big Data, Analytics and Visualization PlatformSAN FRANCISCO, CA--(Marketwired - Jan 21, 2016) - MapD, the GPU-powered database and visualization platform for interactive data analytics, today announced that industry veteran Brock Alston has joined MapD as VP of Worldwide Sales. Alston comes to MapD from Pepperdata where he was VP of Sales and responsible for global field operations. We're an engineering-driven culture committed to building the fastest analytics platform and Brock's combination of sales talent and technology acumen fits our mission perfectly. A few weeks back we rounded up 5 other cloud companies that scored a combined $175 million from investors. Investors this week poured at least $350 million into cloud computing companies focused on everything from security to Hadoop clusters to industry-specific apps. Funding of cloud computing companies is showing no sign of abating this year. This week Appirio announced $35 million in Series E funding, led by Fidelity Management & Research. Other cloud companies announcing funding this week:*Tray.io: Some have described this newcomer, which pulled in $2.2 million in seed funding in a round led by True Ventures, as a sort of IFTTT for enterprise SaaS apps. Pepperdata, a company that’s built a platform for managing and fine-tuning Hadoop cluster performance, announced a $15M Series B funding round today. Hadoop is an open source platform for managing huge amounts of data (big data). The system knows how to dial down access for the lower priority job just enough to let the other one finish up. Pepperdata is trying to optimize Hadoop cluster performance. 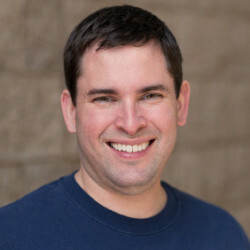 Pepperdata co-founder Sean Suchter ran the web search engineering team at Yahoo, which developed the first production use of Hadoop (according to information supplied by the company). The Apple Watch Sport edition has been strapped on my wrist for a month and for the most part it has exceeded all of my expectations. It's even better now that I realized I was wearing it wrong. When we deployed the first production Hadoop cluster in 2006, we were looking to build a more efficient and cost-effective web search index at Yahoo. As Hadoop continues to evolve, however, we will not only overcome these challenges, but unleash its true business value. Workarounds vs. solutionsIn our research, we found that many administrators of large-scale production clusters implement their own workarounds. Hadoop’s evolutionThe adoption of YARN is increasing the flexibility and efficiency of Hadoop clusters and bringing whole new classes of users to the platform. To compensate for their lack of control over cluster resources, organizations usually size their clusters based on anticipated peak loads. "This Hadoop job ran and took 100 percent of the network bandwidth for several minutes and that killed us. I can see some ad hoc job that's really not important. But Hadoop at the time could launch a lot of things really quickly and use up a lot of hardware resource. "We saw these patterns emerge that once people start counting on Hadoop in production, they hit the same issues over and over again. "But of course the Hadoop job didn't know. “Because the tech community tends to laud its open source contributors, there are personal drivers behind open source participation. First, Some NumbersTo give you a sense of the power of open source platforms, there are dozens of companies listed in Crunchbase that identify themselves as being based on open source. Arje Cahn, CTO at open source content management vendor, Hippo says when he started his company, he used open source platforms and it saved him a ton of development time. And there’s a reason for it –because open platforms (even when they aren’t open source per se), act as catalysts that drive new companies. VCs are handing out millions and millions of dollars to these companies, driving a huge open source startup feeder system. A startup called Pepperdata launched on Tuesday along with $5 million in series A venture capital from Signia Venture Partners and Webb Investment Network. The company, which was co-founded by two Yahoo and Microsoft veterans, says its technology sits above the Hadoop cluster and monitors the resource usage of each running task. Cluster management is very important, but Pepperdata’s challenge will be proving its approach is good enough to justify paying a third party rather than using existing vendor software (including from Cloudera) or open source projects such as Apache Ambari and Apache Mesos. Pepperdata, a Sunnyvale, CA-based provider of software analytics platform for Hadoop, raised $5m in Series A financing. It constantly monitors the use of CPU, RAM, network, disk, and HDFS — per task, per node, and for the cluster overall. The company intends to use the funds to accelerate investments in product development and further build out its sales and marketing organization. The round was led by Signia Venture Partners and Webb Investment Network with participation from Jerry Yang, founding partner of AME Cloud Ventures and cofounder of Yahoo; Ed Zander, former CEO and Chairman of Motorola; and Andy Ludwick, Pepperdata board member and founding CEO of Bay Networks. The solution is already used by large internet and software-as-a-service companies.